Today, cookers and hobs are so much more than just a kitchen appliance. They now reflect the diversity of modern living kitchens, and have changed considerable since they were first introduced, in the 1790s (see the origins of the modern kitchen range, Wikipedia). No wonder this clever kitchen appliance has played such a significant role in our lifestyles. Whether we rely on our hobs to prepare extravagant home-cooked banquets or simply to put together everyday meals and snacks, they provide daily convenience to all families and their contrasting dietary habits, allowing the preparations of an infinite number of delicious dishes. At Richmond Kitchens, we have taken a special interest in BORA, a company that is currently revolutionising the cooking top market and has inspired the latest trends in Kitchen design. We have been blown away by their innovative design ideas and forward thinking. 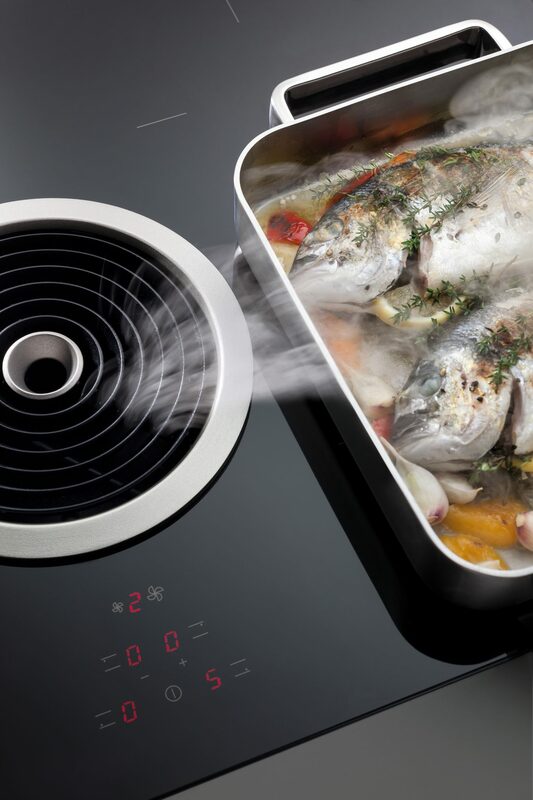 They have taken a cooking top, perfected it and added a very special feature: a powerful in-built extractor. 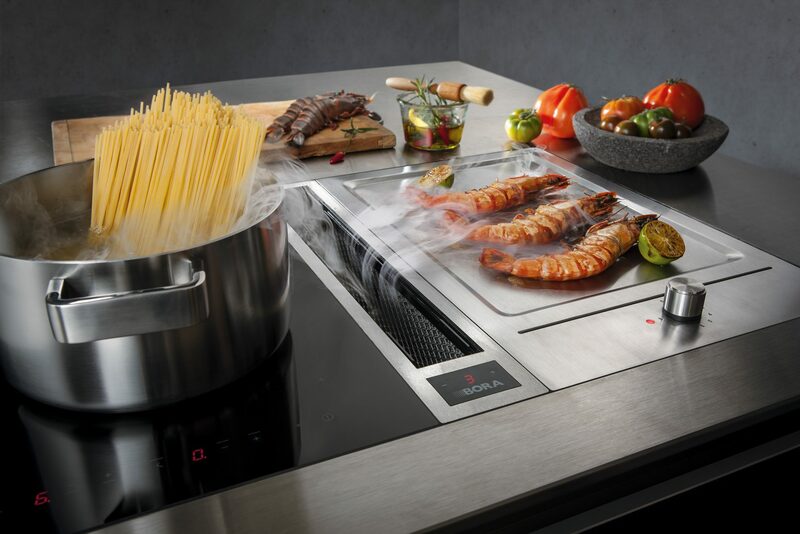 In other words, they have combined in one single appliance a powerful cooktop and an outstanding ventilation system…and they made it as stylish and user-friendly as it can possibly be. The innovators behind the BORA Cooktops—the latest ‘Must-Have’ in Kitchen appliances—are visionaries, creative and have an undeniable passion for good food. They are motivated by ideas of making the Kitchen a more attractive and enjoyable place. A place where everything happens, from large social gatherings to cosy coffee chats. A place where we get together to prepare, cook and share food, as well as to de-stress and chill… With that in mind, a different concept has taken shape and the cooktop that has revolutionised the modern Kitchen has been developed. 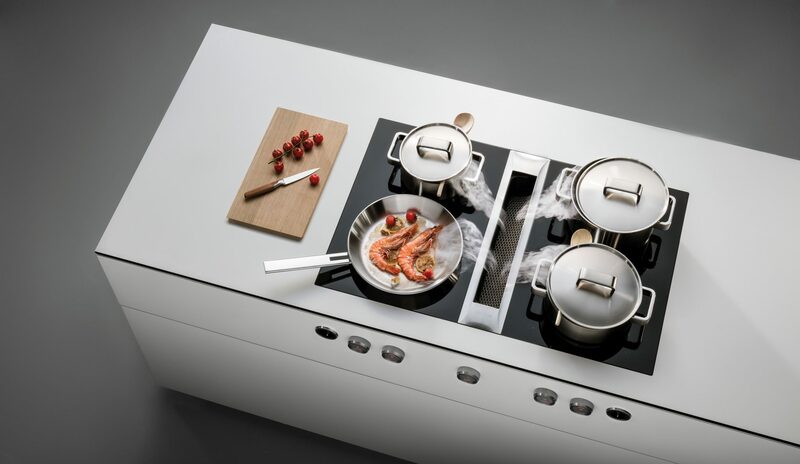 The BORA concept represents the ‘end of the extractor hood’ era, offering more freedom in terms of Kitchen design, as well as more functionality and, of course, amazing looks. 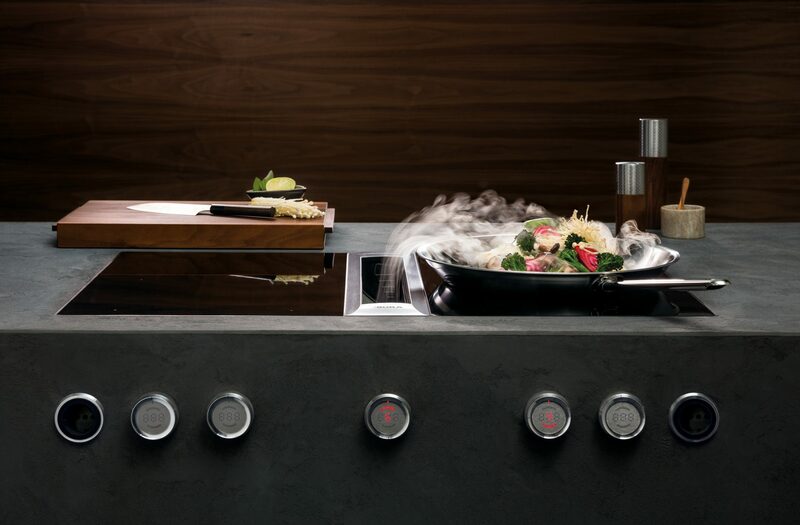 The proposed idea is a stylish cooktop that enables cooking vapours and odours to be sucked away precisely where they arise, straight from the cookpot, roasters, pans or grills. 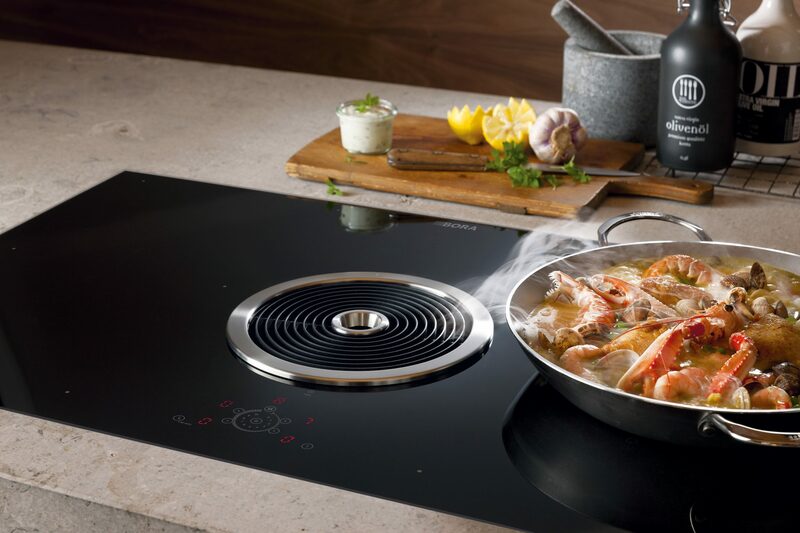 As opposed to conventional extractors, which extract upward, the BORA cooktop extractor extracts downward (at approximately four metres per second). The result is an odour and fumes free Kitchen, where family life and great cooking experiences can take place. 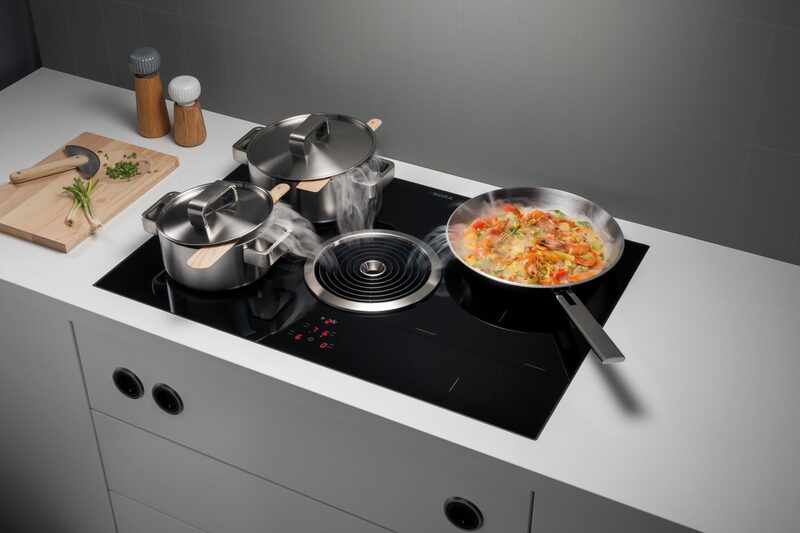 We invite you to take a quick look at the three BORA Cooktops: the BORA Basic, the BORA Classic and the BORA Professional 2.0. Three different looks, one amazing common feature: the highly effective vapour extraction system, from BORA. It’s a compact, yet powerful cooktop and a highly effective cooktop extractor. 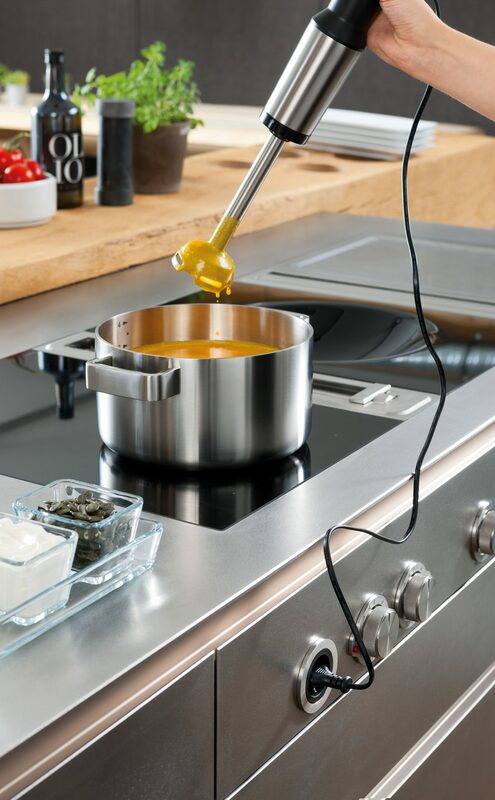 Both cooktop and extractor can be operated using a central touch control. The large cooking zones in this clever design make it possible to cook with 2 large pans behind one another, despite the compact dimensions. A low installation height and the integrated recirculating air filter unit allows for maximum use of space in the floor unit. It’s available in flush installation or surface mounting and now also with a brushed stainless-steel cooktop frame. Minimalistic design and optimum flexibility! This attractive design offers efficiency and superb flexibility. 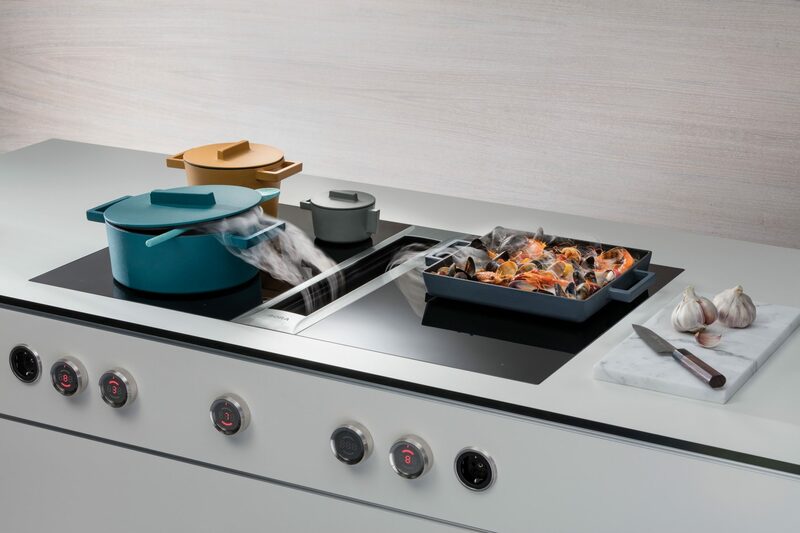 The flush installation, in line with a minimalist approach, together with its compact dimensions, allows for the cooktop and extractor to blend in with various kitchen designs and is suitable for installation in almost any kitchen worktop or island. The touch-operated controls are accurately adjusted with a simple tap of a finger. Many combinations of cooktops are available in this design: surface induction, Hyper glass ceramic, Tepan, wok and traditional gas cooktop. Outstanding performance and extraction controlled automatically! Like the name suggests, it’s the one for the professionals. Like in the BORA Classic, this design also embraces the minimalist concept and offers a broad range of modular cooktops, from Tepan to wok cooktops. 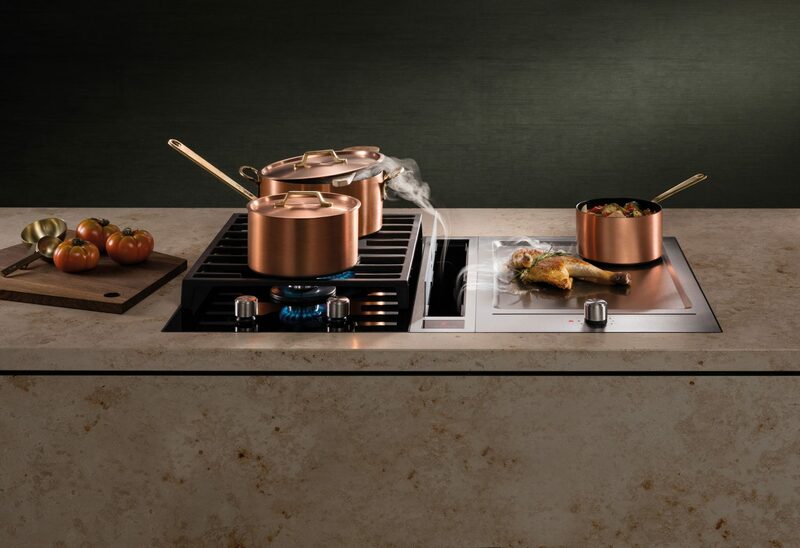 However, the BORA Professional is larger, with a huge depth of 54 cm—the deepest modular cooktop in the market—offering then an extremely large cooking area. Additionally, the intelligent control knob enables users to control the various functional programs singlehandedly. From power control to the function programmes to the temperature indicator. 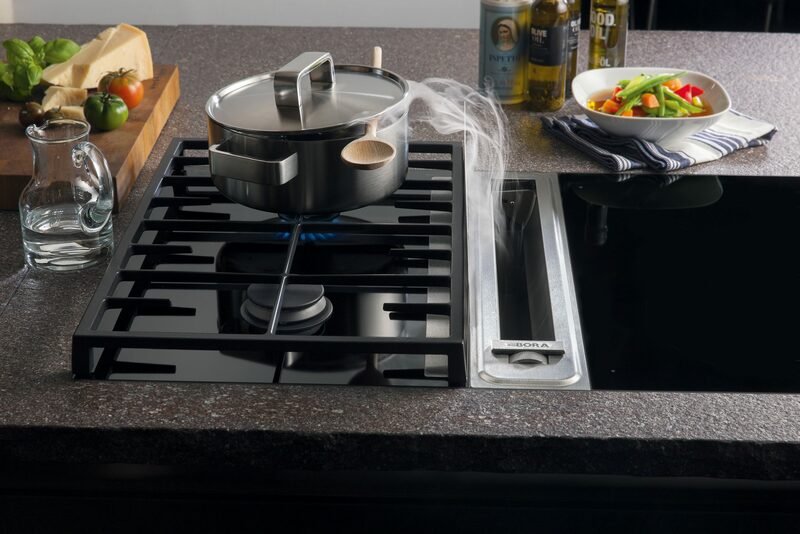 Also, the cooktop and extractor intelligently communicate with each other, allowing for maximum user friendliness and outstanding effectiveness. And to top it up, it’s significantly quieter. Finally, all BORA cooktops are available as a recirculation or exhaust air system. Similarly, they all offer advantages in the form of simple cleaning and maintenance. Most parts are dishwasher safe, so you can make sure your system is permanently clean and working at its best. 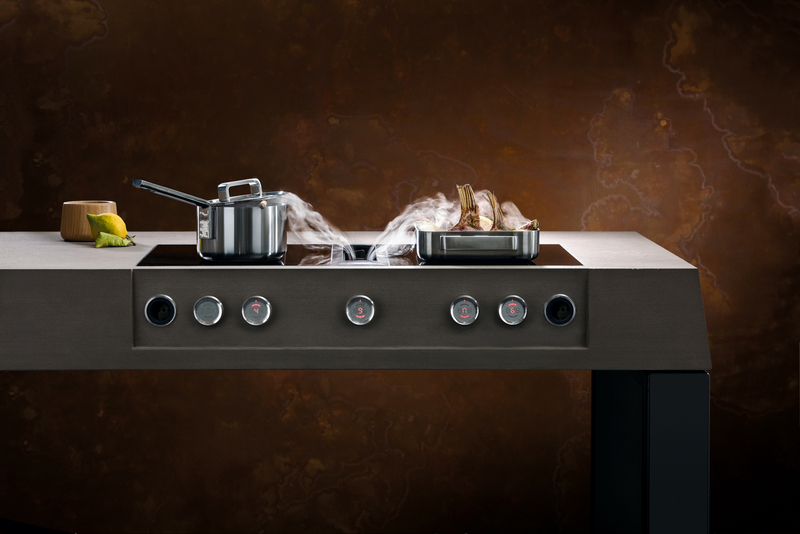 So, we have shown you the latest BORA Cooktop designs: the BORA Basic, the BORA Classic and the BORA Professional 2.0. The only problem you’re left with now, is to choose which one works best for you!